If you are a casual motorcycle nut, if asked to list Italian Sports bikes, you may have 4-5. If you’re a confirmed motorcycle nut, you might be able to name 6-7. This is not because there are few Italian sports bikes, its more that few make it into the consciousness of the U.S. buyers mind. 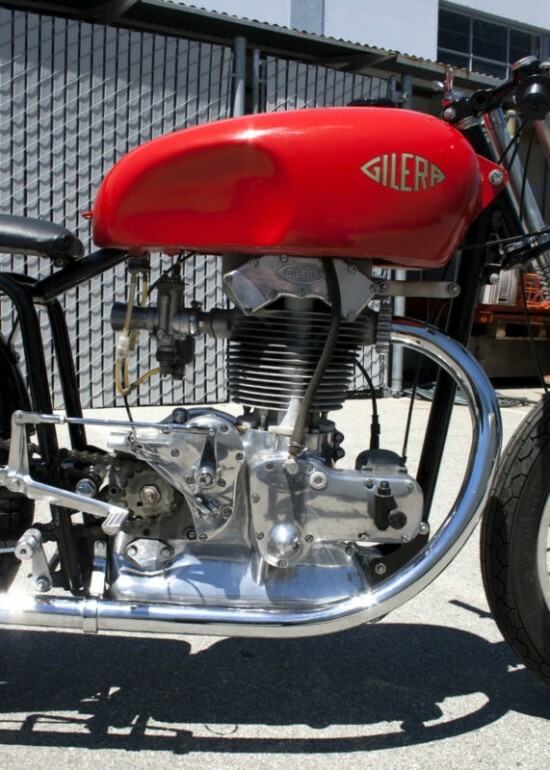 This is a bad thing, because this 1954 Gilera Saturno should have been here in the States with a big presence in the 1950’s. But you can make up for that in 3 days from today, if you have the Lira. In the day, the Saturno was one of the most dominant forces in 500GP racing. 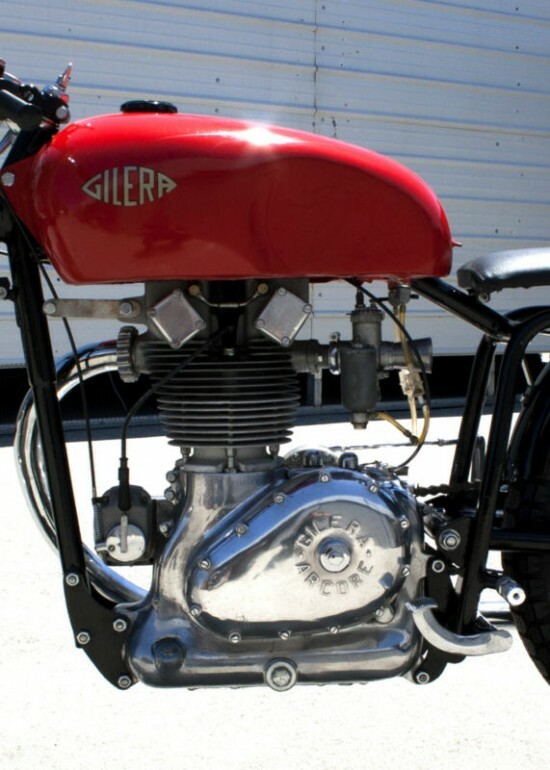 Right up until the late 50’s when Gilera came out with their 4 cylinder 500, the Saturno was the bike to beat. Saturnos also had good success in European motocross as well as being very reliable transportation. 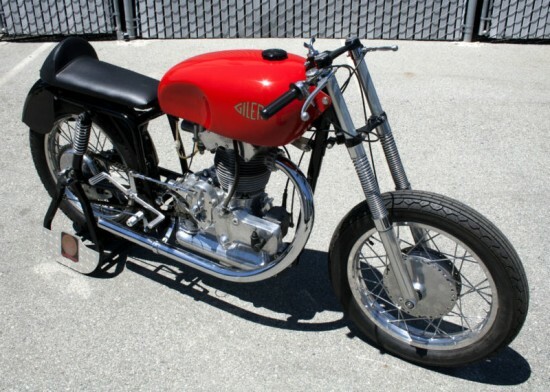 This is an extremely rare 1954 Gilera Saturno in Corsa trim. The history of this bike is not well known so I am calling it a replica to be safe. The genuine Corsa’s would have an alloy cylinder barrel and 35mm remote float carb. 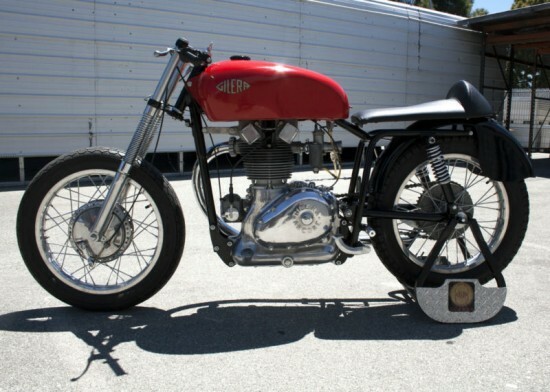 This bike has an iron cylinder and a 30mm side float carb. 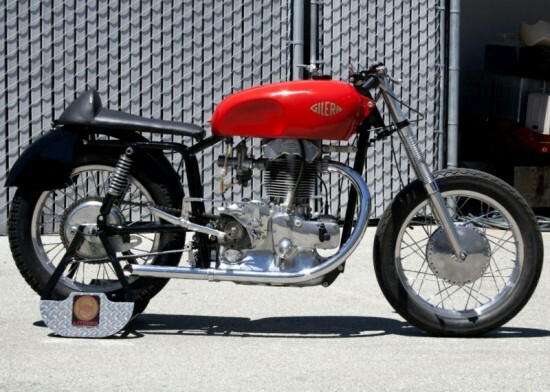 I’ve also found that the smaller carb’d models are listed with 28mm carbs so this falls somewhere in between. It’s possible that this bike is actually a Sport model in the Corsa trim or it could be an actual Corsa that was refitted with an iron barrel and smaller carb being more easily sourced.